Outlander cast and creators attended their San Diego Comic-Con panel to share thoughts about season 1, answer fan questions, and give a preview of Season 2! Check out 40+ exclusive photos, sneak peeks of the Outlander: Season 1, Volume 2 blu-ray bonus content, and more. 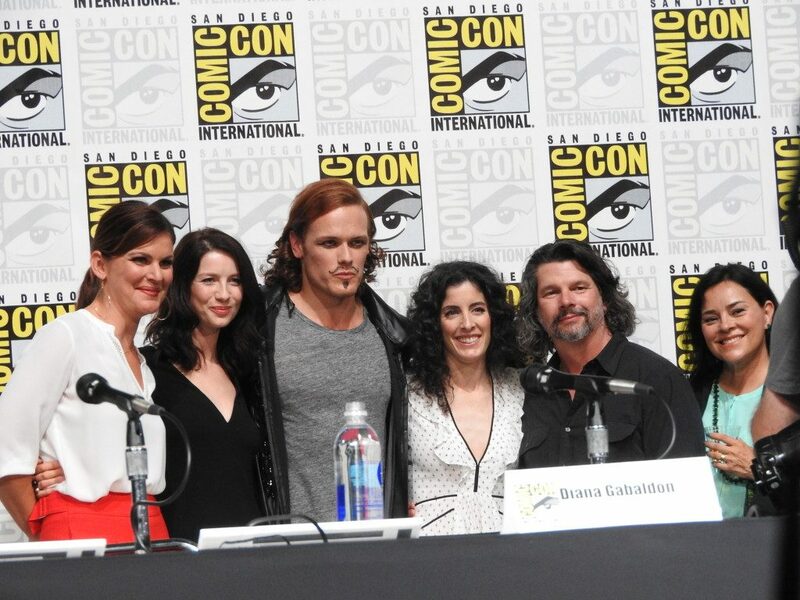 Today is a very good day to be a Sassenach, especially if you’re currently in San Diego for this year’s Comic-Con! This afternoon Sam Heughan, Caitriona Balfe, Maril Davis, Ron Moore, and Diana Gabaldon participated in an Outlander panel discussion moderated by E!‘s Kristin Dos Santos. Cast members and creators shared their favorite moments from Season 1, discussed their processes for getting through Outlander‘s more difficult scenes, and finally gave the audience a sneak peek of Season 2! Paris looks GOOD on Jamie and Claire, don’t you think? I can’t wait to see even more bonus content! Make sure to pre-order your copy of Outlander: Season 1, Volume 2 today. Also, check out our 40+ exclusive photos from the Outlander SDCC panel below (including my favorite moment of the panel, Pirate Sam!!! ).